Having a hard time finding paying customers / members? Maybe you havn’t accurately narrowed down your target avatar yet. Listen in and learn more how to do this as we talk to our guest, Flip Your Life community member and Christian Counselor, Tawnya Kordenbrock. Tawnya has been married for 35 years with two adult sons and one grandson. 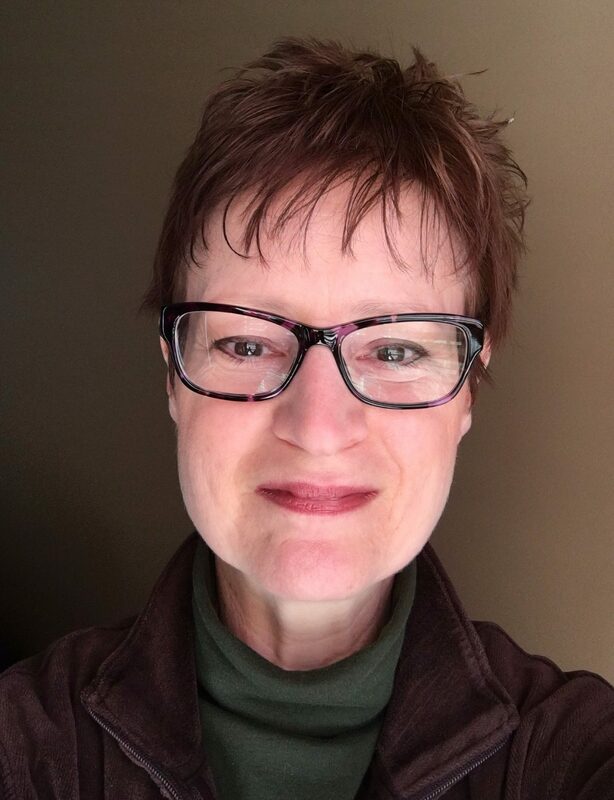 She is a licensed professional clinical counselor in Northern KY with a solo private practice called A Renewed Life Counseling, where she helps adults who have come from a background of abuse, neglect, or chaos and feel stuck in anxiety, depression, and relationship patterns. She started her blog more than 4 years ago, ARenewedLife.com, where an online course called, “Claim Your Calm,” is offered for those who struggle with anxiety learn how to bring peace to their mind, body, and spirit. Having blogged this long, Tawnya is now ready to take the next step towards a more recurring and passive income. Join us as we talk about strategies that will help our guest to overcome her current online business roadbump. We’ll be sharing our insight on digital coaching, what recurring revenue is and how to make it work without having to overextend your efforts. If you’re stuck deciding what to do, if there’s a push and pull between what you want and what the customer wants, then stick around and get ready to take action! This week’s success story is from Marie, and Marie’s headline in the success of forums said, “Itsy-bitsy Success,” with a little smiley face emoticon. I love this because a lot of times, that is what we need. All of us. There are days that I don’t get things done, and I just need one itsy-bitsy success, just as Marie said. And then she said, “Dances happy dance,” like in quotations marks there. Good job, Marie. Sometimes, when you are in a funk, you just need somewhere to go and do something. That is what our action plan forum is for. Everybody posts on Monday what they are going to do that week, what they’re going to get accomplished, and then we hold each other accountable to make sure that we get it done. It kind of gives you just a checklist that you put out there to the community and say, “These are my goals.” Good job, Marie. If anybody out there you need to take action, just do something. Itsy-bitsy success stories can lead to really, really big successes. Today’s Can’t Miss Moment is spending time at our new house. Actually, outside our new house. As many of you know, we move back in December. It’s not exactly the warmest weather here in Kentucky, although we did have an unseasonably warm winter. But we’re finally getting to sit outside, soak in some vitamin D– thank goodness, I need it desperately– and just spent time with our dogs and hanging out more outside. 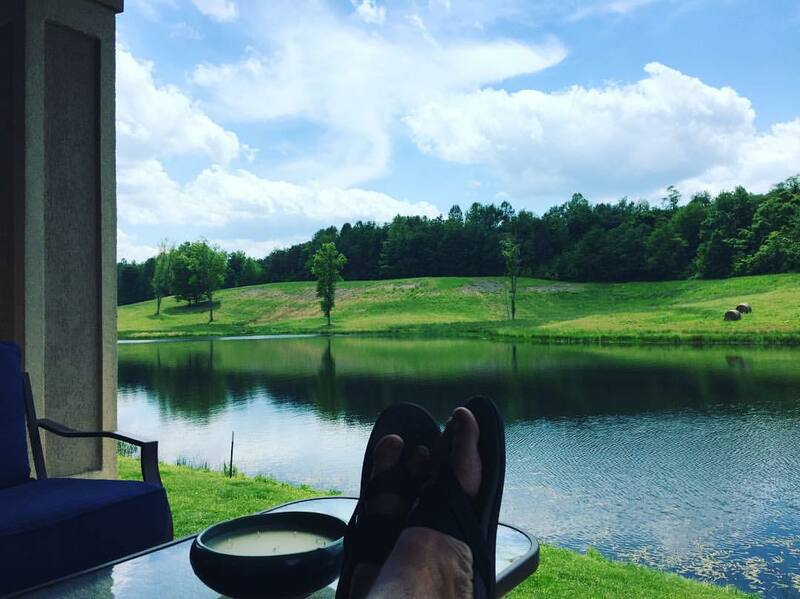 It is awesome to be able to just, every single day, be able to go sit on the porch, look out at this lake, hang out with our dogs, hang out with each other and what a great office that we have on our back porch. We’re just really thankful for that and that is all possible because of our online business. Jocelyn: Hey, y’all! On today’s podcast, we help Tawnya take her anxiety coaching business to the next level. What’s going on, everybody? Welcome back to the Flipped Lifestyle podcast. We are pumped to be back with you again today. 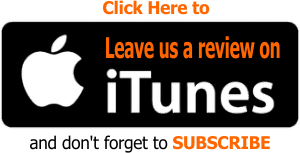 We are so thankful for everyone who listens and subscribes to the Flipped Lifestyle podcast. 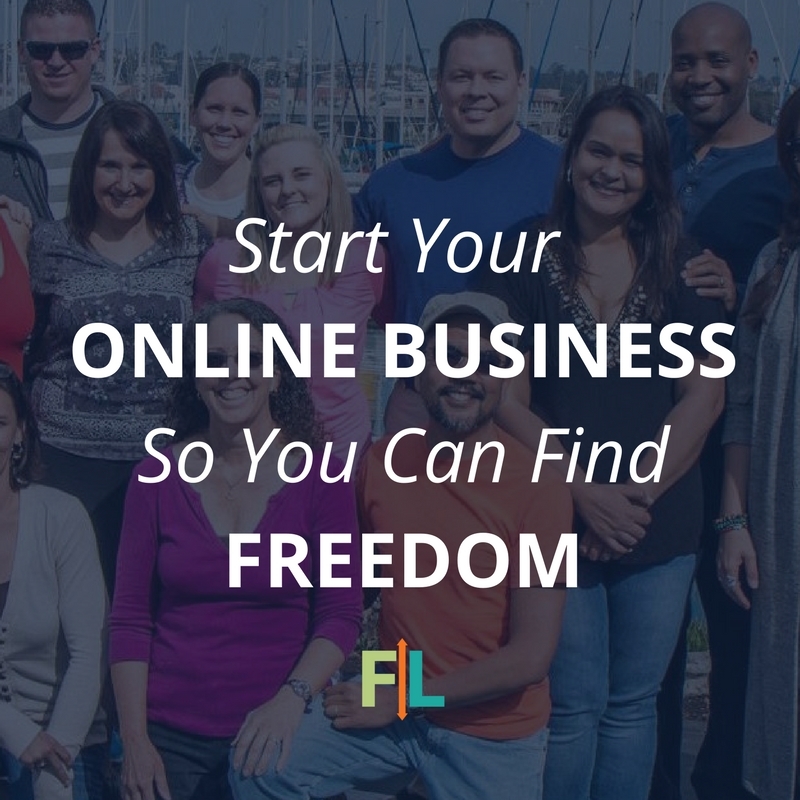 For those of you who are new to the show, this is the place where we help you figure out what to do next in your online business. No shiny objects, no gurus, no gimmicks, just real people, real businesses, and real conversations. 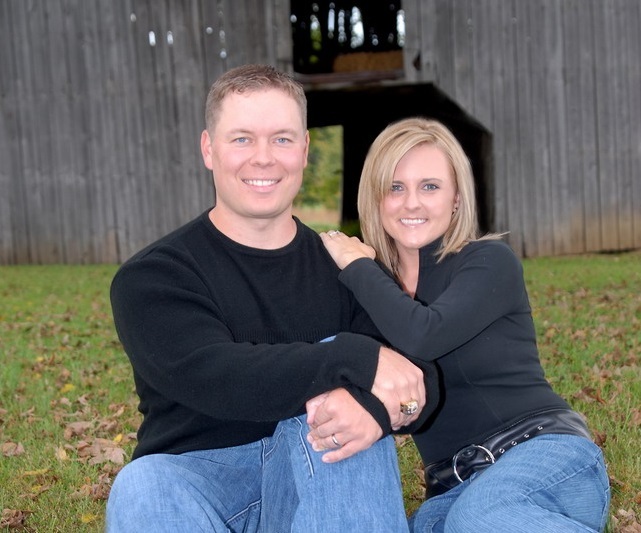 We are thrilled to have another member of our Flip Your Life community on the show today. To hear the answer to today’s question, you can click the link in today’s show notes, and if you would like to watch all of our Q&A with S&J videos, head on over to flippedlifestyle.com/youtube and subscribe to our YouTube channel. 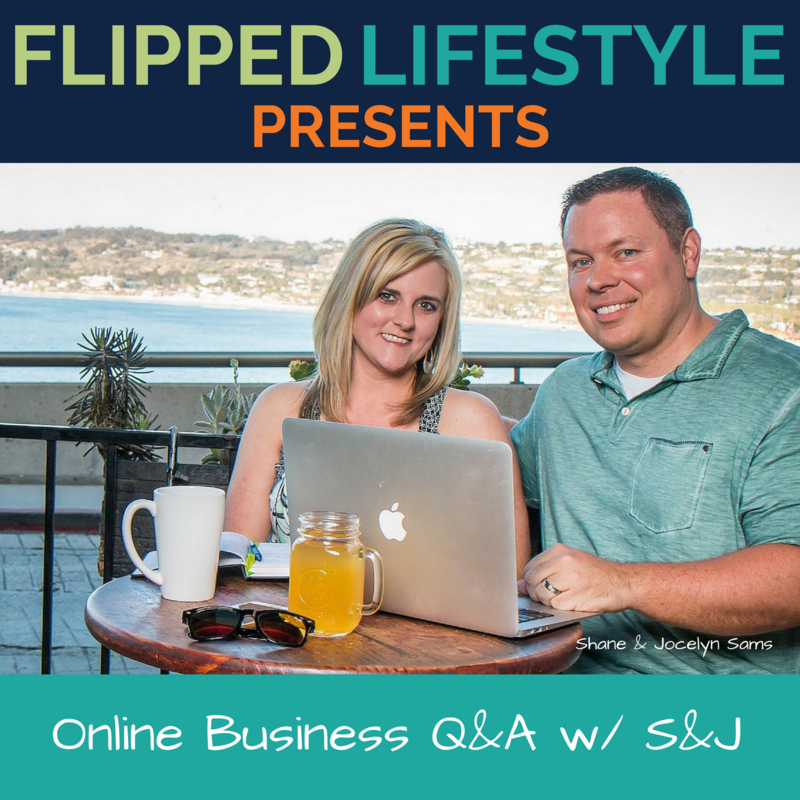 Now, let’s jump into our interview with our Flip Your Life community member, and see what questions they have for us today. Super excited today to welcome Tawnya Kordenbrock to the show. Tawnya, welcome to the show! Tawnya: Hi, thanks for having me. Jocelyn: Yeah, it is great have another fellow Kentuckian on the podcast today. Shane: That’s right. We’ve got somebody from the bluegrass today, so you’re going to hear three people talking funny to y’all. It is going to be awesome. Tawnya: Yay! Although I’d like to think that I don’t talk funny. Shane: You’re in Northern Kentuckian, you live up in Northern Kentucky, and I know you guys are like half Ohio-an. Shane: It is still there. Shane: There is a city in Northern Kentucky called Florence, and for those of you who’ve never been to Kentucky, it’s like one of our northernmost cities, and it says, “Florence, Y’all,” on this big water tower, as soon as you walk in. It’s kind of a mix, it’s kind of a mix. Jocelyn: Before we jump in to your questions today, tell us a little bit about you, your background, and what you’ve been doing so far online. Tawnya: Okay. I am a professional licensed clinical counselor, and I have a private practice where I see people who have come from a background of abuse or neglect, or just chaos and I help them with the ways that that is showing up in their adult life, and in their relationship. I am married, and have been married for 36 years. I have two adult sons and a nine-year-old incredible grandson. My website is arenewedlife.com where I have been blogging for, I think, seven years. Shane: Wow, that is awesome. Tawnya: Yeah, I know. I just realized that the other day. Wow, I’ve been telling myself it’s been three or four years and I realize, “Oh my goodness, it’s seven.” I recently developed an online course called Claim Your Calm, and it consists of about eight videos and there is a couple of bonuses in there that walk people through what all needs to be done in order for them to help themselves to be calmer on the inside and be able to function in their everyday life in a calmer way. Shane: This is kind of like a digital version of overcoming the chaos and the junk and the baggage and all the things that have built up and cause anxiety and things in our lives, right? Like fear. You’re really looking at this, it’s like a digital package to get some coaching, to get some training on how to overcome that stuff, right? Tawnya: Yes. It’s pretty much, what I would say and work with a client on, but taking all of that, sit down with me, and I would just tell you. Here are all the things that apply. Shane: And that is a classic formula for a digital coaching of any kind or any information product. This translates so well from a one-on-one to a digital model because you are like, “Okay, I pretty much a say these 80% of these things to every client. So this 80% of this stuff could help a lot of people. You put it in digital form for people who may not live near you, can’t come see you, they could actually buy and watch the videos instead. Tawnya: Yes, and when I write my blog post, it’s just the same thing. Here is what I basically tell my clients and I didn’t really have to research what language my readers would use. I already had my readers basically in front of me in my office. When I did the course, it was the same way. Basically, I wrote out, I want to say 25-something-like-that blog post that I outlined everything I would say as far as anxiety goes. I wrote all those blog posts, and then I told those blog posts, bunched them together, and made a video. Jocelyn: Okay. You have a great start on your site. Let us talk about what has been going on so far. Have you had sales? I see that you have a membership, so do you have members? What is your goal moving forward? Shane: And also, I might as well just go in there at the back-end of that. Why did you wait so long to create a digital product because you’ve been blogging for seven years? When did that light bulb hit like, “I think I can make money off of this thing?” Was it a certain amount of traffic? What sparked that? Tawnya: Oh my goodness. I was so afraid you would ask me that question. Well, let me go down first. It was just fear. Shane: That’s ironic. That is very ironic. Tawnya: Isn’t it, though? It’s one of the things that my clients I know appreciate about me because I myself had come from a background of abuse and chaos. When I talk about these things, I know what I am talking about. Not only because I learned these from my education, from my experience but also from my own life. I have no qualms about telling them, “Hey, I have anxiety also.” That helps them to know they are not weird. That other people have it. Getting some coaching was the biggest help for me. I was in a group and learned how to set up a blog, and how to blog, and I have been getting a business coach, though an online business coach had really helped me understand what was going on inside my head that was a stumbling block for me, and that was quite surprising, what was there. Shane: I love what you said there because some people are like, “Oh, seven years. Why monetize now? You haven’t done it until then,” and some people are listening right now, going, “I’m afraid to launch a product, to launch a website, to do anything like that.” They see all these stories of, “Oh, well, this person started, and three months later, they were a millionaire.” “This person started and now, there the number one podcast on iTunes.” It can really be overwhelming when you get into online business because you see all these things, you know all these things. I love your story because it’s like, you know what? It took me this long, but it that’s how long it took you. It took us a certain amount of time because we had obstacles. We had kids, we had jobs. Everyone is on a different timeline. There is no perfect path to success online. You are just taking your next step and that is really what we are all doing. I just think that that is an awesome part of your story, and I’m glad you shared that today. Thank you. Jocelyn: Alright, let’s get back to what has been going on sales-wise. Do you have sales, what is your goal for your website? What do you want to see it do? Tawnya: Well, I did a, where you get the initial members at a very much reduced price. Shane: We call that a beta launch, basically. Tawnya: I did a beta launch, and had five people purchase it, which was very exciting. Tawnya: And then one person never did login, and one person logged in once, and did not login again. I have a secret Facebook group, where we have our interactions. Three of those got into the secret Facebook group. They had some anxieties about it of, is this safe? and they didn’t understand what a secret group was and all that. I had to explain that, and there are simple bonuses in the course also. One is a 15-minute, professionally-recorded guided meditation, like a prayerful kind of meditation that I did. That is within the course. They also include every two weeks, we did group calls and that was a learning experience on those ends. I made some mistakes with it and they thought it was them when it was me. They seem to and enjoy receiving the recordings of those, even when I looked at the people who had not login, they still listened to the group call. Shane: And you are going to find that a lot of online businesses. People get confused, I think, because they’re like, “Oh, well, I found my perfect buyer. They bought, but then they don’t use the course.” Or they don’t log into the forums. Even in our community, we have a majority of people that don’t actually go in and post. They read, they login, they reply, they watch our videos. There is also another subset of people who only show up on our bi monthly group calls, but they do not use the forums. But they do ask questions in those group calls everyone is going to use your content a little differently and you will always have buyers that do not use it at all, that is just part of the deal. What is awesome here is you put something out into the world, and you had multiple people buy it. Was this launched to a list? How big was the list that you launched this to? Tawnya: About… yes, to my email list of about 140 people. Shane: Did you say 140? Shane: Oh yeah, see, that is a great sign because you’ve got a small list, but seven people actually buy from that list. Actually, what you’ve done here is something incredible. You’ve gotten to a place where a lot of people never get to. You have proven the concept, you’ve taken an audience, you ask them and learned what they wanted over time, you created the thing in theory that they wanted, and they bought it. Now, what you have to do yourself is just say, “Now, what if my list was 1,000 people?” And it was those right people. Then, those 7 people that bought out of 150, that’s another–what is seven times eight, Jocelyn? Fifty-six? Shane: Yeah, we are going with that math. That is another 56 people. Now, it becomes a numbers game of, “I’ve got an offer that an avatar wants. I just have to get in front of more people.” Good job. That is awesome. Shane: Regardless of when you did it or how long it took you, now we’re going to talk about building lists, and doing things like that. I’d also like to touch on something else here before we get into your main question is, you said, your product is for people with anxiety, and you said they were very anxious about talking in a private Facebook group. There’s all kinds of things that could come out of that. But that is something else we’re going to get into with your question. Groups and things like that, there’s always going to be a little bit of difference. We may do it one way, but every niche is so different. You’re going to have to think outside the box to serve your people, basically. Jocelyn: Alright, so you’ve done great, you’ve gotten some people into your group. I guess the question I would have is, what’s next? What are you planning, or what do you need help with for the next step? Tawnya: Well, what I did with this is, since it’s eight videos and I can’t gear this like I would counseling, it has to be more of a training. And so maybe I made it more complicated than it needs to be. That is just for legal and ethical reasons with the counseling board. But anyway, I geared the group calls toward the specific videos but the videos are timed when they are dripped, so that they don’t get all of the material at once. We went for eight weeks, and then it kind of ended, but everyone that is still in the group, every once in a while I’ll go in Facebook and I will comment and they will get back with me. Anyway, I want this though to be regular income. I’m thinking of selling just the video part on its own for a lesser price, but then have the membership at maybe a monthly payment. But I am trying to figure out, then, how would I do the group calls and is there enough material in there? I know a couple of the members have commented about some relationship issues so I could add more into it about anxiety, about relationships and what that is all about. Shane: Is your question basically, “Do I just sell this as just courses? Do I sell this as a membership? Or do I sell both?” That is basically what I am hearing. It’s like, how do you make this steady income, but then again, how do you address these problems? People don’t like to talk in this group because they are very anxious. How do you circumvent that legal barrier of, “Am I really giving counseling advice here, or am I just talking about my videos?” You are just looking for that happy medium of how to keep making money without having to make new content every week or charge for membership or whatever. Tawnya: Right, and can it be a full membership? I called it a partial membership just because it ran for 8 weeks. I want to make it ongoing. Shane: I totally get that. This is where people I think sometimes get confused because you can build recurring revenue without using the membership model. Let us look in an example of this. You’ve got a course that is really valuable. What did you charge for this, too? I’m guessing this is way too low. What did you charge for this thing? Tawnya: I think they purchased it for $59. Shane: Okay, that’s actually a better price than most people start out with. I’m thinking this is probably more of a $200-$400 product. Tawnya: That is what I was thinking. Shane: If they spent counseling hours with you, it would cost them a lot more than that. You could even take what it would cost to get that much counseling, and start with that as a base price, and maybe go down a little bit because it’s not one-on-one, and start with that course. But there is a lot of ways to make recurring revenue. Recurring revenue simply says, “I have found a customer that will keep paying me over and over and over again.” One way to do that is, maybe they can’t afford a $500 product, but they can afford five easy payments of $99. That is recurring revenue. That is predictable income. That has opened a door for people to say, “I’m going to pay $100, and it drips out every time I get the new course, and that is recurring revenue.” You’re going to get five months of recurring revenue off of that person, that is like a payment plan and not like a membership rate. You could also do it the way you just said. “Okay these people bought this thing. Now, I will make them a new thing, and they will buy it again.” So your same customers, low energy, gave you more money. You don’t have to have a membership. You don’t have to force a square peg into a round hole to get that recurring revenue going. Jocelyn: As far as, should you sell it one off, or any membership, I think the people have differing opinions about this. We’ve sort of gone back and forth on this as well because we’ve kind of learned as we’ve gone along in this membership model. I think that it is a viable strategy to have a more passive membership, and one that you are more active in. I don’t really have a problem necessarily with you selling just the course part if that is what you want to do, and then maybe having like a higher energy offering as well. Shane: One thing that we love about recurring revenue models, and we think is the really the glue that holds them together is being able to create a community. But, in this case, you might be in an area where you’ve got a community that does not like to be in a community. Like you said, it was awkward in the Facebook group. Jocelyn: Yeah, we’ve had the situation before, actually. We’ve had this situation with lawyers, and a couple other different people. Jocelyn: But I was talking more about like the legal issues of giving people advice. Some of the suggestions that we’ve had for people in the past would be to maybe take questions ahead of time, change any identifying information, and say, “I had a person ask me about a situation that is about whatever. This is how I’ve handled this in the past.” So that you are not directly answering their question but, you are getting the information out there. That might be one way you can deal with it. Shane: And if you’re wanting to create, this is another classic argument. Should I use a Facebook group for my membership, or should I create my own community area? In your case, the Facebook group might be the wrong answer. But you can still create a community. Maybe you could create an anonymous community on your website. People’s names are not associated with their account. It is a safe place where they can go login, and you’re like, “Okay, this is protected here. It only exists on my site. You totally use a pseudonym. You don’t even use your real name.” That people can go out and then say these. They can talk about their problems in a more safe way with that anonymity. You could even participate then is it would be totally anonymous, you see what I’m saying? It would give you a kind of a way to get involved there. I think there is a way to build community to bake it into this product if you do want to create something like that. Like, “Hey, we’ve also got an anonymous support group that costs $10 a month on top of your initial purchase of $300,” or whatever, and that creates more passive income for you as you go down the road, but people are still taken care of. You are still protected legally and you can the offer more stuff within that community setting. Does that make sense what we are saying here? Tawnya: Mostly. Yeah. Although, in my Facebook group, the people have kind of warmed up to it. I’m kind of wondering if that will happen, with more people in there. Jocelyn: Probably you just need more information from your target customers. Is a something they want? Is it something they don’t want? You don’t have no way of knowing that, we are not your target customer. Shane: Yeah. It may be an education issue. Maybe you just need a training video at the very beginning that explains you are in a private secret group, no one can see the you are in this group. Only the people within this group know you’re in the group. You could offer alternatives. Or you could just not even offer the group like whatsoever. They may have just wanted your course content you need to ask them directly, “Why did you buy this product? Was it for the training? Was it for the counseling, or was it for the access to someone who had been through it and was trained in it? Or was it because you wanted to be in a community to talk about your problems?” That is the only way you’re actually going to know that is to survey those people. Then, the strategy becomes take your course exactly what it is whatever you been doing, you just try to get as many people on your email list as possible. You get as many people in your community as possible through that email list. If every month, you can go out, and you could figure out how your ads work to get 1000 people on your email list, then you can predict that that many people will probably buy once your sales funnel is working correct. That is another way you can attack it if you want to increase revenue, and not really worry about all this nonsense. I got this awesome course that I can just drip out, and I’ll just keep selling it to new people over and over again. Jocelyn: Yeah, I would agree with that. You are getting right now like a 5% conversion rate on your email list, that is a really good conversion. If is not broken, let’s not fix it. Shane: A lot of people have anxiety. It’s not just those 140 people. A lot of people have these fears and these problems. It’s probably in the millions. It’s just a matter then of can we target them? How do we target them? Jocelyn: To me, it doesn’t seem like an offer issue in any way. Shane: No, the offer is great. Jocelyn: It’s an audience issue. You just need to build your audience. Shane: I would be willing to bet that that product would have sold without Facebook group or without anything. I bet that that course would have probably sold by itself. Maybe one or two of those people wouldn’t have bought, but it is still just a numbers game. If five people out of 140 buy, and now you know that, but you triple your prices, all of a sudden you are making triple the money off less people. That is the way to create that recurring revenue. Jocelyn: I think this could also be a challenge-oriented membership. Shane: ‘Overcome your Fear in 30 Days,’ which is really what it is because it is 30 days of freedom. Jocelyn: You are already doing that, but maybe you just rinse and repeat and do like a different type of challenge every maybe every quarter, maybe do it every other month, maybe do it every month. I don’t know what it looks like, but if you want a way for people to continue paying for things without putting a lot of your time into it, that is another way of doing it. You could pre-write to this challenge, 30 days to whatever. Shane: What were the other problems that people told you? You said this was anxiety, and you said these people you’re noticing other problems? Shane: relationships, okay. You could write a course about that, and then use it as a challenge. Then you find out another problem that they might have. You do that, basically just repeat those three challenges over and over it, and keep funneling new people in. You never do any more work; you just have to funnel more people in. Basically. Tawnya: That would be without the Facebook group. Jocelyn: It could be; it might not be. Shane: It could be emails. They sign up. This one is called 30 Days of Calm. That’s like the free email series that they get on. Right, this free email that you’ve already created is basically an email challenge. Maybe they get emails for 30 days on how to do this and then you sell your product. What you could do is flip that on its head and say, forget 30 Days of Calm. That’s going to be a challenge that they go through your course in 30 days. I’m going to sell that for X hundred dollars and then you just do another one, then you just do another one. Everybody that basically signs up on your email list you’re saying, “Hey guys, in one week we’re starting a new challenge. Click here. You’re going to get the seven courses. This is $2000 worth of actual coaching and counselling but you are going to get today for only $299.” Boom, they sign up, they go through it a month, then you say, “Okay, we’ve got you 30 days of whatever. Now let’s work on your relationships. Our next challenge starts in a week.” Those same people buy it, and then you are just constantly pushing new people into it. Jocelyn: Yeah, I generally like a group or some type of way for people to talk in challenges. Even if you are not really interacting with them a lot, I like for them to have a place to go and talk to each other. Tawnya: Yeah, I do, too. Shane: Maybe you just remove yourself. That is another thing that a lot of people do. A guy that I know that runs memberships, one time he was showing me his membership model. He had 800 members or something like that. These people were paying 79 bucks a month. They were doing this and that. I said, well this level, they get all your courses. What do they get at this level? It didn’t make sense to me why they would pay double when he wasn’t doing anything in there. He just looked at me and said, “They get each other.” Sometimes, that is all that people want, is just each other. They don’t even need you or the leader. As long as everything is rolling. Maybe that is what you do. Jocelyn: Maybe you just try it out. See what happens. Shane: It’s like a support group. Jocelyn: Okay, Tawnya. That is sort of a lot of information that we threw at you there. Do you have any follow-up questions about that? Tawnya: It’s all swirling around in my head. I will definitely have to listen to this again and figure out where I want to go. Shane: Sometimes these calls, these sessions which, you will know this because you are a counsellor, sometimes it’s just to throw the mud on the wall. I’m getting the sense that you really want this to just be something that you cannot be as involved in, make it more passive. You’ve got some legal issues you want to avoid, you’re trying to figure out this group dynamic and it is not, but you’ve got the course part figured out. This is not more about what you should do. It is more about what do you want. This is going to totally be, “What does Tawnya want this to look like in her life, and how she wants to deal with it,” and that is what we will build and sell. Let’s just explore that. What do you want in a perfect world? How do you want this to work? Do you want to be involved in this community? Do you want to be talking in a membership? Do you want to just sell courses? What do you want on the top of your head, like right now? Shane: The stressful part of it, basically. Tawnya: More stressful, yes. But they seem to enjoy receiving the recordings and they did listen to them. But for me, I am not looking for more work. My counseling work is already very stressful and I’m looking for something that is easier and that will be that evergreen income. Shane: That’s the cool thing about this. There are no rules. Jocelyn and I’d do this all the time. What is it that you always say about heavy, or something? Jocelyn: If something feels heavy to you, that means that it feels burdensome, just something you don’t enjoy doing, then don’t do it. Do the things that feel light. Shane: Yeah, do the things that feel light, and what I just heard you say was, “I love creating these courses, I love getting these courses out to people.” That is good and also you said something interesting there, too. “I love interacting with people on the group,” as basically the people are leading discussions and you are just kind of chiming in and you’re part of the group. That is exactly the way you should build this. You should probably create evergreen courses. You could offer an upsell for a support group that does not have counseling involved with it. Maybe you just have some posts that are automated in there but you can go in and kind of hang with people. That is part of it. But you don’t offer these big intense calls. Even if you like a part of them, they are still stressful, it’s still not worth it, it’s still more work. You can remove anything you don’t like and sell the rest of it. Does that change things? Maybe, maybe it changes the price, maybe it changes the avatar just a little bit of who you are targeting. But in the long run, it makes you feel better. It makes you more money because you will do it longer. That is what you should do. Okay? Shane: Oh, there we go. Permission. You should do that, right? Exactly. Tawnya: Yeah, do it the way I want to do it. Jocelyn: Yeah, and sometimes, it’s hard to say, “No, I’m not going to do this anymore,” but you have to do what’s right for you if it is something that you’re not going to enjoy doing and you keep doing it then it’s going to make you resent your business. You don’t want to feel that way. Just do the feet things that feel light. Do things that people want, but find a way to do it within things that feel comfortable for you. Shane: What usually happens is, we always do have to start with what does our customer want, what is their problem, how can I solve it? The problem is, the way you deliver a solution to someone is totally subjective if they like it or not. Some people like to read. Some people like audio. Some people like video. Some people like a group. Some people like to be alone. We get so caught up in, “This is what my avatar wants because the formula spit it out.” We don’t give ourselves room to work within that. That is what Jocelyn and I have learned over the last five years is, “No, if you solve a problem, you deliver it the we want to deliver it. How do you want to deliver it? It doesn’t matter what everybody else is doing. Do you like it? And then go find those people who like the way you are delivering it, and forget the rest of the people. We are going to find a bunch of people that want to download your courses, be in a group, and you are not involved. That is what we want to find. Now that we have an avatar, we can buy ads. We can create courses. We can do all that. Jocelyn: Alright, this was a lot of information in a very short amount of time. We always end our calls with asking people what is one thing that you plan to take action on based on what we talked about here today in the next day or so? Tawnya: Well, I think I need to do the survey that Shane mentioned to ask my members why they joined, and were they looking forward to the videos, or were they wanting to interact with me. And I’ll also offer them as that beta group, I offer them one free one-on-one call with me. I don’t even know if that was one reason why they bought it. Shane: Right. I’ll tell you what I would do for sure. When you do this, get them to schedule those calls. Have they already scheduled those calls, or have they not done that yet? Have you already done those? Tawnya: Yes, I did do the one-on-one calls. Not everyone took me up on that. Yeah. Shane: Okay. Whenever you do one-on-one calls, always ask them to those questions because you will get really straight answers when you are live. But do the survey. Get that out there, and just straight up give them answers. “Did you buy it for A, B, C, or D?” Don’t make it complicated. Make it like they can click a button. One question: Why did you buy this, put the components group, you, one-on-one, or course? And just say, “All I need you to do is click one link.” And that is it. See what they say, and then rollout with it. Okay? Shane: Alright, Tawnya, well thank you so much for sharing everything today. I think a lot of people are going to get some good stuff out of this. There is a lot of people out there who have been blogging for a few years, and they are like, “Why am I not monetizing?” You are an inspiration to that because you are proof if you will just sell something, someone was going to buy it, and then we can grow it. Until you do that, it is hard to build a business. That is awesome that you shared that today, and go post in the forums as soon as you get those survey results back and let’s start building this thing into something that makes you feel light, that makes you feel happy, and that could help you get that Flipped Lifestyle that you want, okay? Tawnya: That sounds great. Thank you. Shane: What a great call today to one of our Flip Your Life community members. We would love to have you in one of our Flip Your Life community as well. 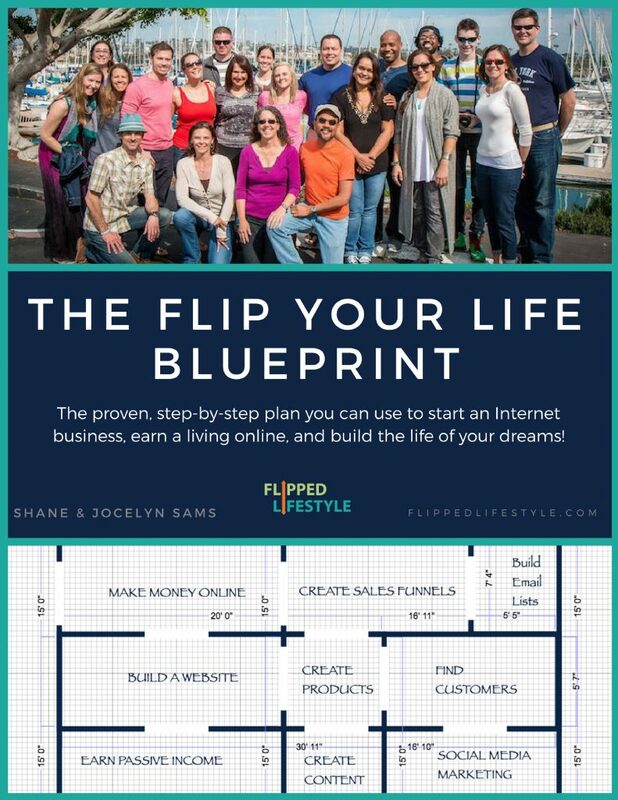 If you would like to become a member of the Flip Your Life community, head over to flippedlifestyle.com/flipyourlife, and we can help you with your online business, too. Jocelyn: Alright, next we are going to move into the Can’t Miss Moment segment of our show and these are moments that we were able to experience that we might have missed if we were still working at 9-to-5 jobs, still. Shane: And for those of you who follow us, you’ve seen the pictures of our new house, of our property. We have our own lake behind our house. It is cool to be able to finally use the lake. We moved in in the wintertime, so winter is not exactly great for swimming and boating. Now that the weather is warming up, were able to get out and use the lake. 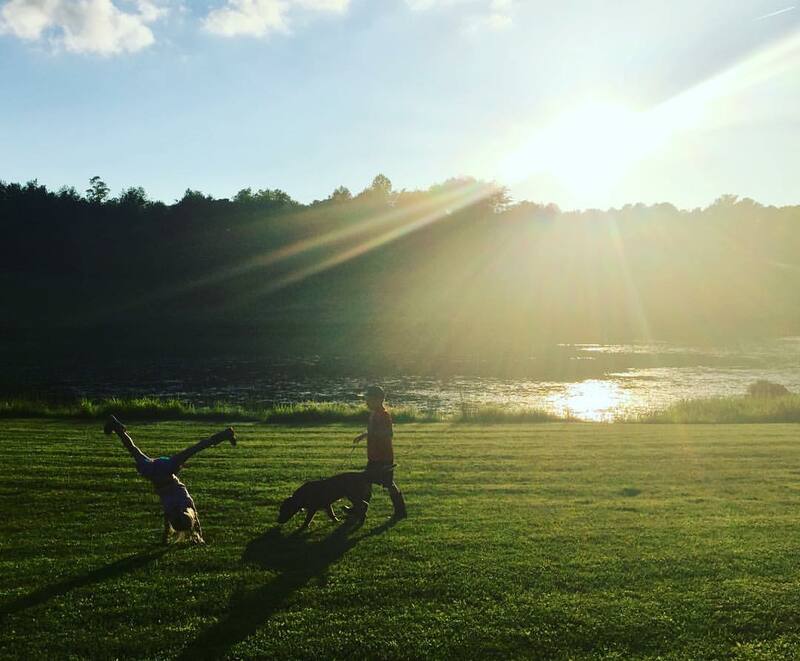 We’ve taken the kids fishing, we’re going for walks around the lake with the dogs and with our kids. We’re getting really close to that point where we will be able to put a couple of boats out there, and be able to get out there and swim little bit, too. 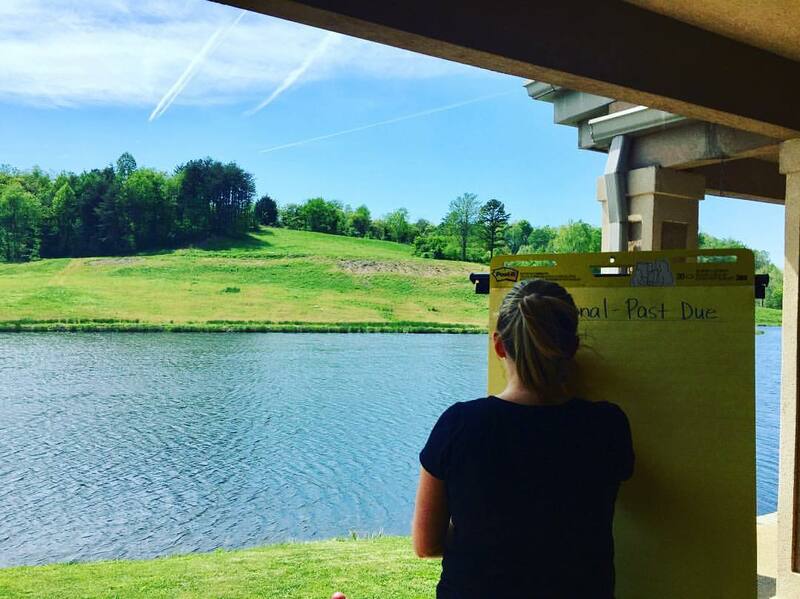 It is awesome to be able to just, every single day, be able to go sit on the porch, look out at this lake, hang out with our dogs, hang out with each other and what a great office that we have on our back porch. We’re just really thankful for that. And that is all possible because of our online business. As much as we love to share our Can’t Miss Moments with you guys, there’s something that we love to share even more. That is a success story from one of our Flip Your Life community members. 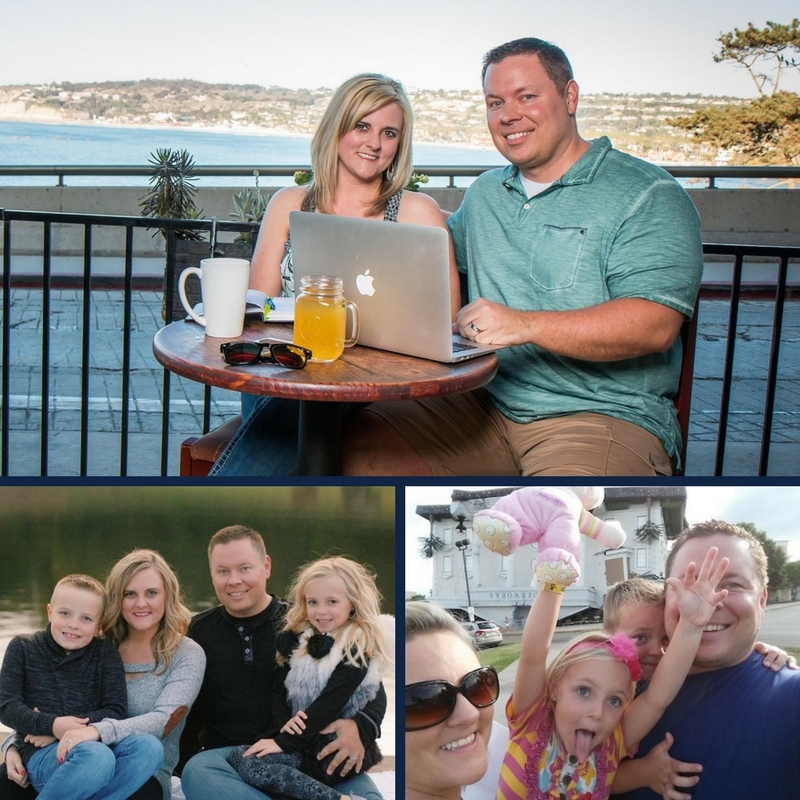 Before we go, we wanted to share an actual success story from the success forums in the Flip Your Life membership. Alright, guys, this week’s success story is from Marie, and Marie’s headline in the success of forums said, “Itsy-bitsy Success,” with a little smiley face emoticon. do something. Itsy-bitsy success stories can lead to really, really big successes. Shane: Before we go today, we like to close every single one of our shows with a verse from the Bible. Jocelyn and I draw a lot of inspiration and motivation from the Bible, and we just wanted to share some of that with you. Today’s Bible verse comes from 2 Timothy 1:7, and the Bible says, “For the spirit God gave us does not make us timid but it gives us power, love, and self-discipline.” Take that power, take that love, take that self-discipline, get out there and build something that can not only make your dreams come true but can’t help other people as well. That is all the time we have for this week. As always, guys, thanks for listening to the Flipped Lifestyle podcast, and until next time, get out there take action, do what it ever it takes to Flip Your Life. We will see you then.